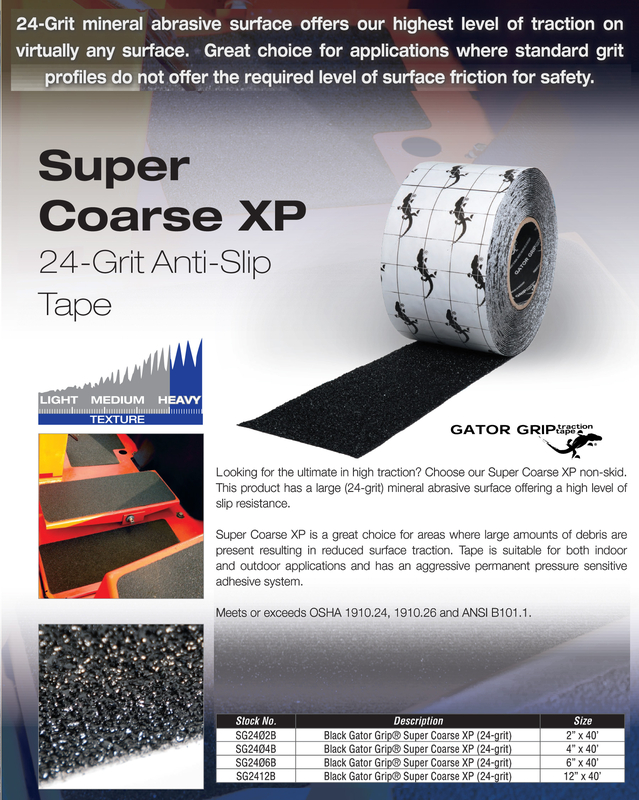 Coarse and Super Coarse Non Skid Black Tape. Available in 2", 4", 6"and 12" widths. Coarse Rolls are 50 feet long and Super Coarse Rolls are 40 feet long. Abrasive is bonded to an ultra tough polymer substrate and backed with a solvent based contact adhesive for instant grip. The result is a durable and reliable non skid tape. 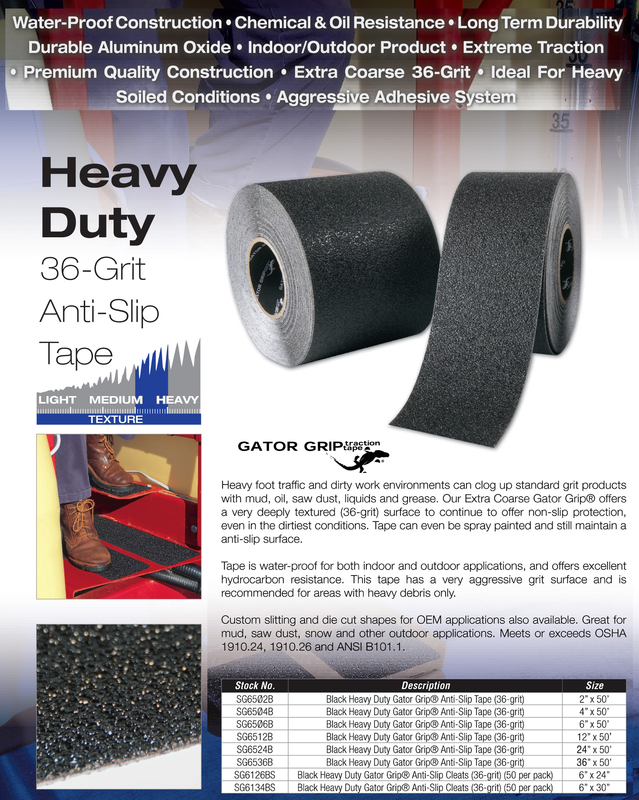 This type of tape is excellent for commercial applications and in muddy or snowy conditions where extra grip is important. Simple installation. Peel backing and press firmly onto a clean dry surface.